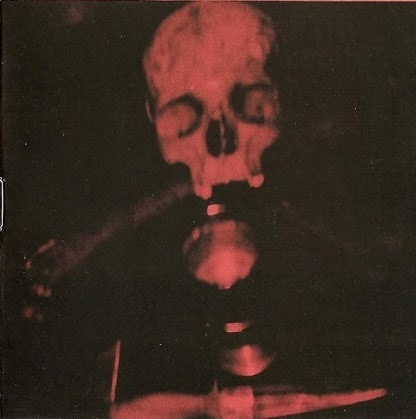 And I believe that the abyssal creatures that form this Polish horde drank the putrid blood of conspiracies as Varathron, Necromantia, Barathrum and Mortuary Drape to achieve a level of mortuary obscurantism of aberrations contempled in this ritualistic disc, by repulsive sounds representing the cult and the power of death! As I said, obscurity is something latent on this acclaimed mega-cult, and the mysteries behind their strange music induce the listener to promote a bizarre offering during their long emanations of cold atmosphere, that smells like sulfur... “Baptised by Barron”, “The Covenant and the Sacrifice”, “Stregoica Dance”, “Scholomance”, “The Impure Wedding” (an suggestive and original theme for a song that reveals the path of darkness) are the five compositions (rites) that seal the pact of blood - coagulated - as an invitation for you to come into the open grave of this necromancer, through even, the calling of the plague with their vignettes/offerings, which I doubt very much you will not feel a chill being in a dark and lonely place. And I think all that crudity, or cruelty, heard in Häxan, is something symbolic for the existence of this dark horde, which presents another page of how practicing an antagonistic and stylized Black Metal!